Update – Dec. 12, 2010 – recently we’ve uploaded a gallery of many metal and flat roofs that we’ve installed in Massachusetts, Connecticut and Rhode Island – see the roofing jobs gallery. All roofs mentioned below are listed on the roof gallery page, with references to job profiles, and before / after pictures. How to prevent Ice Dams – a comprehensive guide focused on the rout cause of Ice dams, which is usually a combination of poor ventilation and inadequate insulation in the attic space or between roof rafters. This guide will help homeowners minimize heat leaks in the attic, improve ventilation and eliminate the effects of ice dam leaks by installing a Metal Roof or an IB low-slope roofing membrane. Low-slope roofs – Overview of the common problems associated with low slope residential roofs, such as shed dormers or roofs on most cape-style homes located in the northern MA. Common issues with such roofs include rotten roof decking / rafters and Ice-dams. Since these roofs are prone to Ice dam leaks, most of the rot damage is an effect of ice dams. Although many roofing contractors will insist that using Ice and Water shield will do the trick, our experience shows that most of the time I&W fails to protect the roof even if the entire roof deck is covered in Ice and Water. Therefore, we believe that the best solution for permanent protection of low-slope roofs and eliminating ice dams is to install a metal roof or an IB flat roofing membrane in conjunction with solving ventilation/insulation issues described in the article above. We installed this roof in early May of 2009. The house is located in a heavily wooded area of central Mass, just north of Mount Wachusett. Westminster, MA is located along Rt. 2, and not very far from the New Hampshire border. These areas get major snowfall in the winter, together with colder temperatures than those in Boston. Consequently, ice dams become a major problem in Westminster, even for high slope roofs. Low slope roofs, such as the one we replaced there, are very likely to have ice dam leaks and other problems such as a rotten roof deck, wet insulation, and mold. The roof has been leaking for some time around the chimney in the center of the roof and was patched many times with tar, but rather unsuccessfully. Also, due to Ice Dams and roof leaks caused by the ice formation along the roof eaves, the homeowner installed heating cables to stop the Ice dam leaks. These did not help either, and after one more unsuccessful roof repair, the homeowner decided to get an IB roof installed. The homeowner and his cousin, who is a roofer in NH, did the roof tear-off and replaced all rotten plywood decking, to reduce the cost of installation, while we installed the roof itself, insulation, chimney flashing, ridge vent and snow guards (snow retention system). Note – before we installed the IB membrane, the homeowner’s main concern was to get ice and snow off the roof. After the IB system was installed, our concern was that due to the roof’s pitch, which was about 3 in 12″, the snow and Ice would just slide off the roof in a large pile, crushing down onto the deck and perch bellow it. Also, there was a grill on the deck, which was not removable, since it was tied to a gas line. The chimney flashing, which may seem like a quick job, actually took about 6-7 hours to properly flash. The reason it turned out to be so time consuming, is that it is located in the center and separates the ridge vent, as well as creeping onto another side of the roof. Due to its position, size and the way an IB roof is installed, it not only took long to work around, but also slowed down the rest of installation. Because the ridge vent butts into the chimney, we had to make sure that not only the ridge vent was raised an inch off the roof level to prevent the wind-driven rain from leaking into the house, but also that it was completely tied to the roof, and flashed up the chimney. Once the chimney flashing was installed, counter flashing reglet had to be installed as well. All in all it took us 3 days to install this roof, though the 3rd day was rather short. What really slowed us down, was the first heat wave of that spring and an overwhelming amount of bugs / flies / mosquitoes in this wooded / swampy area of central Mass. Roofing membrane used: 50 mil mechanically attached IB PVC flat roofing system. Insulation used: 1/2″ fan-fold Styrofoam insulation with clear plastic / metal facing. Total roof square footage: Approximately 500 sq. ft. Right after the roof in Westminster was installed, we started getting ready for a big metal roofing project, in Wayland, MA. On this job, we installed a .032 Aluminum standing seam metal roof in 1 3/4″ snap lock profile with 16″ wide pan and stiffening ribs. This roof took about two weeks to install, including tear-off of old asphalt shingles, siding removal, replacement of rotten wood replacement, delays with material shipments and the wrong type of flashing being delivered. Actually one of the delays happened because our supplier ran out of Grey aluminum coil after 80 % of roofing panels were rolled out of their mobile standing seam roll-forming machine, which was based in Manchester, NH. As the supplier received more aluminum coil 3 days later, he sent a different truck, from New London, CT. As that truck arrived and rolled off the first test panel, just out of curiosity I decided to compare the first batch to the second one. It turned out that the machine on the New London truck was set up to be 1/8″ wider than the Manchester truck. This, over the course of 23 panels gave us an extra 3″ of panel, which converted to two extra panels – 1 1/2″ wide – on either side of the rear roof section and exactly 23 panels on the front. We had to send the truck back and wait for the Manchester, NH truck to deliver and roll out the same coil. Even the guys working for the supplier were not aware of this mismatch between the two machines. F-Rail rib-mounted snow retention system from Berger snow-guards. Finally, the Manchester truck delivered the right-width panels and we were able to finish the job without any more delays. The homeowner,Glenn, was also very concerned with snow and ice falling off the roof and damaging the gutters bellow, so we installed a commercial-grade double rail snow retention system to eliminate the possibility of snow falls from the roof. We already posted a full review of this roof installation on our blog, a few months back, so if you want to know more details, read the standing seam metal roof in Wayland, MA job profile. In August of 2009, we completed a rather small, but very tricky and complicated flat roof installation in Boston, on one of the traditional Boston-style homes/buildings, which you can see all along Mass. ave, Comm. ave, as well as Blue Hill avenue, on which this house is located. It was originally an EPDM rubber roof, which had over 50 percent of seams separated due to adhesive failure. The two-tower wood design made this roof much more difficult to repair and our client, Jim, chose to eliminate the hassles of frequent roof repairs and decided to have an 80-mil IB roof installed. Although this should have been a pretty much straight-forward roof replacement, with rubber tear-off performed first and a new IB roof installed, I sensed that it will not be an easy job. Until we opened up the roof I could not say for sure what obstacles we were going to face, but once we did remove the rubber, we found that the entire length of the masonry parapet wall was damaged by water and poor quality of brick mortar. We also found that we would have to rebuild the parapet walls as much as 4 layers of brick deep. Because I chose a careful approach to the rubber removal, by only pulling back the rubber membrane off the parapet wall, and not cutting it, we were able to do the entire brick repair work and roof preparation, while having the roof watertight each night with the original rubber membrane. Once all brick repair was complete and mortar had sufficient time to cure, we installed a 2×8 pressure treated perimeter wood nailer to which IB wall flashing and drip edge would be attached. Only on the last day did we remove the whole rubber roof, installed new insulation and laid down the new, mechanically attached IB PVC flat roofing membrane. We had to come back one more time to install the new gutter and downspouts, IB two-way membrane vents and 9″ IB attic vents over specially cut holes in the roof deck. These attic vents were installed to vent out the moisture that accumulated in the small attic space when the old rubber roof was leaking. Once in place,these over-sized vents will eventually dry out the attic and prevent any future mold growth. Now Jim can enjoy his watertight roof and get sun baths sitting in his beach chair on the roof of his home, and not worry about damage to the membrane – he chose a very durable, commercial grade 80-mil IB roof. He will also enjoy a cooler home, due to the IB’s cool roofing features. You can read the complete job profile about this Flat roof in Boston, MA on our Cool Roofing Blog. One of the more recent flat roofing jobs was in Framingham, MA, where we installed an IB roof on yet another shed dormer roof for Ed Kelly – a high-end remodeling contractor out of Northborough, MA. The builder had his crew remove old asphalt shingles off this roof and replace most of the old decking with new 3/4&quot; plywood. We were there to install just the membrane and flash it 2 feet up the sloped roof. During my conversation with Ed (the builder), he told me me why he chose the more expensive IB roof over a cheaper rubber EPDM membrane. His main reason was the IB’s hot-air welded seams, and hassle free roof performance. Before, Ed used rubber roofs on a few of his projects, and all but one of them leaked due to problems with seams, and required expensive rubber roof repair. Ed decided to end his flat roofing nightmares and constant leaks, and chose an IB roof. The entire job took us one day to complete. The roof was prepared when we arrived to the job site in the morning, and before dark, we packed our tools and were ready to leave, as the installation was all done. The roofing crew which did the tear off and deck replacement was putting the new asphalt shingles and aluminum fascia trim back on, as we were driving away. Roofing material:50 mil white IB roof, mechanically attached. Total roof size: Approximately 450 sq. ft.
Just before the Framingham flat roof job described above, we did another job for Ed – an 80 mil IB roof that would be a water-proofing membraneroof deck over a garage being built as an addition to an already huge home in a very secluded area of Wellesley. Once again, a complete job profile for this roof deck is already on our blog, so there is no point to rewrite it here – read the Wellesley, MA flat roof deck installation overview. This job, was actually sponsored by Cool Flat Roof (us) and IB Roof Systems, as it was a non-profit project, competing in the 2009 Solar Decathlon competition, sponsored by the US DOE. We installed an IB roof on a Boston solar home with some help from the project volunteers and Architecture students from BAC and Tufts. Once again, we have a complete coverage of the installation of the IB flat roof and the Solar PV panels on this roof – Solar roof installation in Boston, MA. Yet another shed dormer roof and also with major ice dams problems and leaks. This roof was just a year old when we removed the old asphalt shingles, and installed a new 50 mil IB traditions roof with an asphalt shingles pattern printed onto an IB white roofing membrane. This roof was completely covered with Ice & water shield, which failed miserably and forced the homeowner to climb up the slippery ladder all winter long, sometimes two times a day, to brake off the ice along the roof edge. 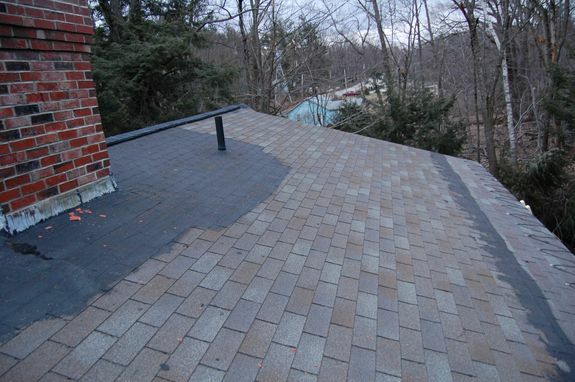 The homeowner, Paul, tried everything from sodium-filled socks above the skylights to heating cables – nothing seemed to help, as with a lack of proper ventilation and inherent limitations of asphalt shingles, his roof was still leaking, as it faced north, and the sun never shined over it in the winter. 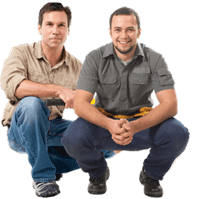 Paul wanted a permanent solution to stop leaks and not a single contractor that Paul contacted could explain to him how they would stop the leaks or promise that their roof will work. Some even offered to install asphalt shingles with Ice & Water shield – Really? Paul already had shingles with Ice and Water and it was not working. Initially, Paul contacted us about getting a metal roof installed on his house, but after examining the roof, I suggested he install an IB roof instead, and residential flat roofing solution form IB – Traditions Classic seemed to be the best option as it combined all the benefits of an IB roof with the classic look of architectural asphalt shingles printed onto the membrane. After a little decision making, Paul and his wife chose to go with a seamless one piece IB roof. In this case, there would be zero possibility of ice dam leaks. All skylights now have seamless 1-piece plashing whelded to the roof, and the rodge vent is raise by an inch above the roof level to prevent wind driven water from penetrating the roof. Now that Paul has a new IB Traditions Membrane, which is in effect a seamless, one piece blanket over the entire roof, he and his wife won’t have to worry about leaks and breaking ice off the roof any more. If your roof is leaking or you have Ice dams, and are tired of fighting with the ice, using heat cables, sodium-filled socks, raking your roof, and risking to fall off a ladder, you need to contact the low-slope roofing experts ( us :). Request a free roofing price quote and schedule a roof inspection / estimate. You can also use our online roofing calculator to estimate your roof replacement cost and compare prices of IB PVC membrane to Rubber roofing, Modified bitumen / Tar and gravel roofs.